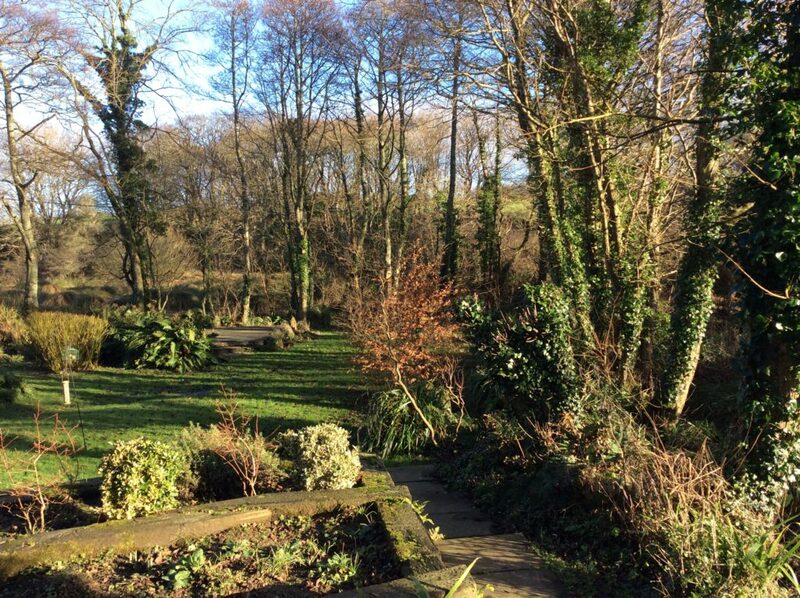 At the bottom of Quickwell Hill in St. David’s is a lovely old bridge, bear right and you will see a sign “Melin Dan Y Rhiw” – walk down the leafy lane and at the end is the house (a former carding mill) and the gardens. The garden to the left is terraced and is full of plants – wild and cultivated. There are also two beehives up at the back from which Melin Dan Y Rhiw wild flower honey is made by local beekeepers. 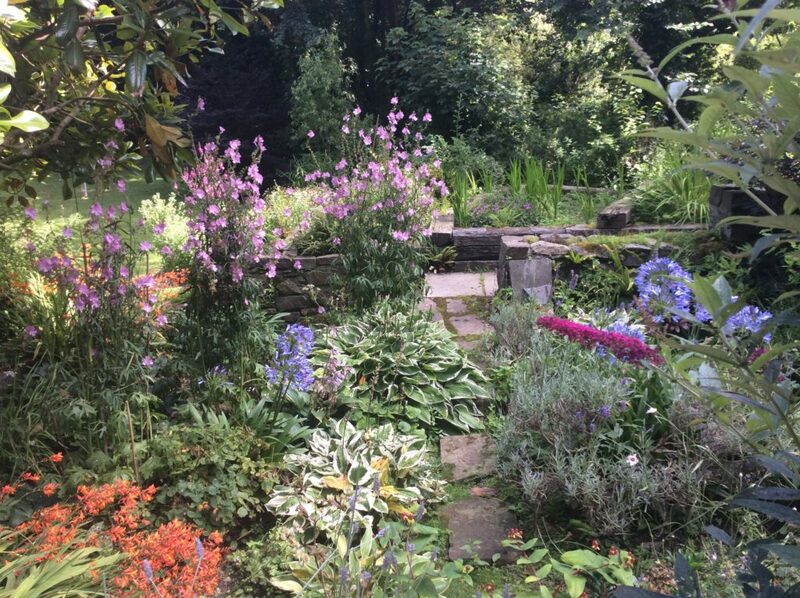 To the right is the old ‘piggery’ which has hostas, monkshead, peonies, roses and agapanthus plants plus a few other bits and bobs. The lawn is on the ‘moor’ and after rainfall the water table can rise at the bottom of the garden where the River Alun runs. There are some planted trees – a copper beech, horse chestnut (a Blue Peter planting! ), amelanchier (planted last year), yew from my parent’s garden….and then there are the ferns – many of them! There is a small spring which has lovely water! Tea and cakes will be served and dogs are welcome. Wear comfortable walking shoes and, if wet, wellington boots! Beware of the bees if you go near the hive.